Though not wealthy, Levinson is one of the lucky Americans. The long-time businessman and fund-raiser for a Florida college is college educated and said he is comfortable financially. But when he looks around his luxury senior community in Delray Beach, he sees pain and regret. Many residents seem idle. For example, a retired physician sits in the lobby waiting for people to drop by and consult him on their ailments. “If you made a survey of all these guys who are retired, you would find that probably 75 percent would say to you , ‘I retired too soon,’ ” Levinson says. On Tuesday, Squared Away profiled two older Americans who, after retiring, were pulled back into the work world by their desire to re-engage. But Levinson has simply blown past the traditional retirement age range chosen by most Americans – the 60s – and just keeps working. He doesn’t really need the money he earns in a late-life career built on his varied interests. He’s just always been driven to work hard, and that did not change simply because he got older. 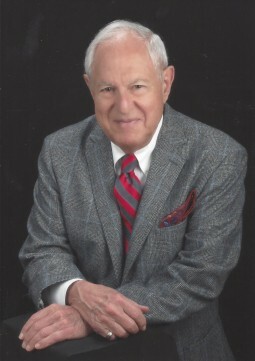 After college and a stint in the U.S. Navy in the mid-1940s, he and his brother ran an Ohio manufacturing company they eventually sold to American Standard. While continuing to work as a group vice president for the corporation, he bought one hotel in Pompano Beach – later, he built two more in southern Florida. He lost the hotels due to financing difficulties, he said. For the past 25 years, he’s been working as a development officer at Lynn University in Boca Raton. He’ll leave that job next spring. Bob – I totally agree with you, I couldn’t wait to ‘retire’ so that I could go into a field that really matter to me and am taking the final test to be certified for a whole new career. I agree with him…retirement has changed..gone are the days of company pensions…gold watch at 65..and dead at 70! If ou are healthy why not keep working?..ths is my greatest fear..being bored…these days you can work as long as you wish too..I do not believe a person gets thrown on the trash dump just because they reached 65! I’m an emergency nurse working three, 12-hour shifts a week. I recently celebrated my 68th birthday and some friends don’t understand why I don’t retire. I don’t understand why anyone in my situation would. I love my job. Love the interaction with patients and peers. I have lots of time off to pursue my other interest– \homesteading.\ Lots of time for family and friends, including many friends I work with. I live in central New York state in the country surrounded by farms and and seemingly endless natural beauty. Doesn’t get any better than this. Thanks Mr. Levinson. I can recommend your book to those who ask why I keep working. I have had the privilege to share an office and a friendship with Bob. He’s a daily inspiration whose energy, intellect and curiosity about the world amazes all those who know him. Reminds me of a paper I wrote decades ago titled, “The Seniority Principle in Retirement.” At the time, (as in the U.S.) pensioners often died soon after retirement. 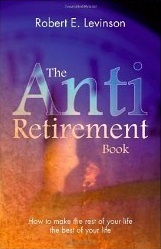 Retirement advocates read this to mean: retirement should be brought forward even more. I had a suspicion that, actually, these early deaths (which are one reason pension plans were not so under-financed back then) might have to do with a person feeling like they’re going from 100% to zero and not feeling useful anymore. However, what people like Levinson (and I) overlook is that 90% of people do not seem to know, when asked in randomized studies, why they actually get up each morning and go to work. So they don’t have a purpose in life other than being active in the workforce. Thus Levinson can argue all he wants that those “retired too early” guys are not going to change their situation. I heard of a guy who after retirement immediately got himself a low-paying job as greeter at Wal-Mart because he said he wanted to keep working. You can see his beaming face on YouTube somewhere. There is another perspective, which is that innovation is served by having a younger workforce. By all means, people should stay engaged with their communities and, if so fortunate, their professions. But they should also consider that handing responsibility to the next generation could be an act of real service. I just bought the book in Kindle version. It looks great, with ideas and driving forces to create a change in social trends. Nice story. As a financial advisor for the middle class, I find that my clients who stay more professionally engaged are happier than the ones that do not. I think what people want more than retirement, as we think of it, is financial flexibility. That is the ability to leave a crummy professional situation on your own terms.